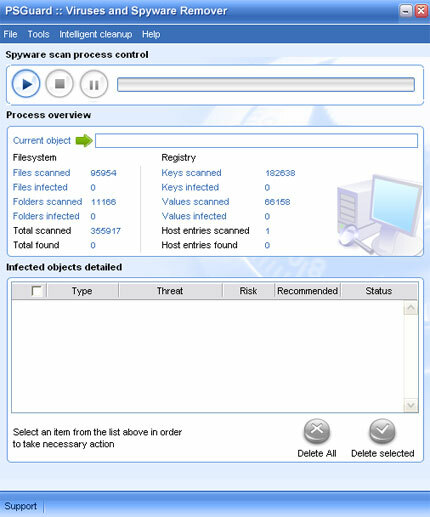 PSGuard is an exceptional case in the corrupt anti-spyware list. 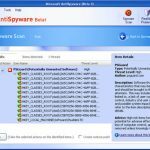 On the one hand it is a quite powerful and yet easy-to-use virus and spyware remover that thoroughly scans the system, checks the Windows registry, examines content of each file and therefore actually detects and removes parasites. 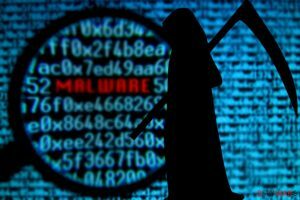 The program does not produce false positives and has regularly updated malware definitions database. On the other hand, PSGuard is related to numerous browser hijacks, deceptive advertising issues and even widely spread dangerous parasites. 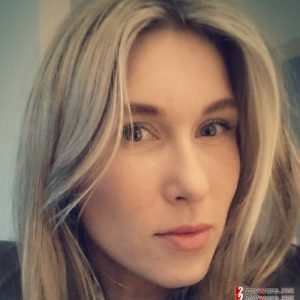 A month ago the application was promoted through fake web sites such as www.security2k.net, which were the illegitimate clones of Windows Security Center. Today PSGuard is distributed by malicious adware threats and harmful parasites such as the Smitfraud trojan, the Desktophijack virus and their numerous variants. The application is secretly downloaded from the official PSGuard web site and installed without user knowledge and consent. 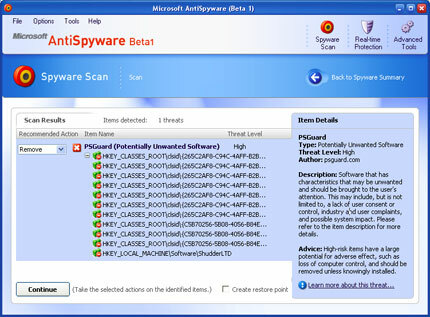 Furthermore, reputable security software such as Microsoft AntiSpyware Beta and STOPzilla detects PSGuard as an unsolicited and potentially harmful program. See screenshots provided below. Although we are not sure who actually is responsible for such program distribution methods, we suggest to AVOID this product, as there is a very high possibility that the application’s vendor or its affiliates are trying to advertise and sell the product with the help of deceptive advertising, parasites and fake web sites. While testing PSGuard we noticed that the program’s registration notice contains false information. It always says that “This computer is infected with malicious ware, and your system security is at serious risk.” even if the system is absolutely clean. Demonstration version refuses to remove any critical objects it finds. It asks to register and purchase full commercial version. The official web site is www.psguard.com. 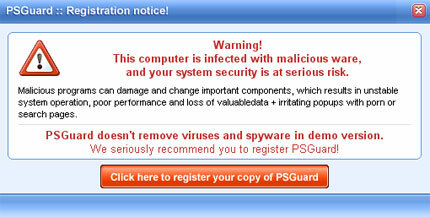 We DO NOT recommend purchasing or using PSGuard. This entry was posted on 2014-05-12 at 17:56 and is filed under Corrupt Anti-Spyware, Software.